New research suggests that a combination of lung-sparing surgery, highly targeted radiotherapy, and chemotherapy may bolster survival in people with malignant pleural mesothelioma. Researchers at Memorial Sloan Kettering Cancer Center in New York have just published some promising findings on trimodality mesothelioma treatment with hemithoracic intensity-modulated pleural radiotherapy (IMPRINT). The team analyzed the cases of 209 mesothelioma patients who underwent the lung-sparing mesothelioma surgery known as pleurectomy with decortication (P/D) between 1974 and 2015. As is typical with mesothelioma, most patients (80%) were men and their average age was 64. In 131 of the mesothelioma patients, surgery was followed by chemotherapy and conventional radiotherapy. Radiotherapy is designed to damage the DNA of mesothelioma cells to make replication impossible. Unfortunately, it can also cause significant complications since normal cells may also be affected. The remaining 78 mesothelioma patients in the study also had chemotherapy after surgery but their radiotherapy was the more precise, dose-adjustable IMPRINT variety. This type of radiotherapy is confined to just one side of the chest (hemithoracic) and the intensity of the dose can be adjusted (intensity modulated) to conform to the targeted mesothelioma tumor and avoid as much healthy tissue as possible. Looking at the all the treatment-related risk factors, the research team used a tool called Kaplan-Meier to calculate how long it took for cancer to return after treatment as well as the average length of mesothelioma survival in each group. As expected, overall mesothelioma survival was significantly higher – and complications lower – among the patients who received IMPRINT after surgery instead of conventional RT. They also experienced fewer treatment-related side effects. But IMPRINT was not the only factor influencing their survival. Patients who lived longest after trimodality mesothelioma therapy tended to be those who were in generally good health, had the epithelioid type of mesothelioma, and for whom surgeons had been able to completely remove their tumor. In addition, fewer patients developed damaging inflammation to the esophagus after IMPRINT than after conventional RT. “Trimodality therapy including adjuvant hemithoracic IMPRINT, chemotherapy, and P/D is associated with promising overall survival rates and decreased toxicities in patients with malignant pleural mesothelioma,” concludes author Fauzia Shaikh, MD, in a summary of the report in the Journal of Thoracic Oncology. Malignant mesothelioma is highly resistant to most standard cancer treatment regimens. As a result, most mesothelioma patients are treated using a multi-modality approach. There is no clear consensus on what combination of treatments is most effective and studies are ongoing. 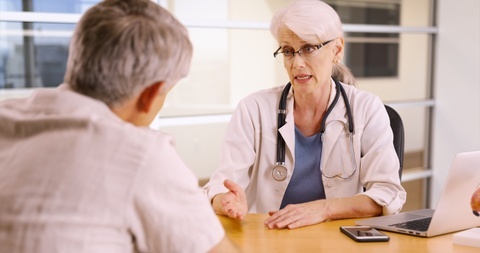 Regardless of the treatment protocol used, mesothelioma patients treated at larger centers with experience in mesothelioma tend to have the best outcomes.